While the Consumer Financial Protection Bureau doesn’t have direct jurisdiction over how dealerships operate, a new survey conducted by eLEND Solutions showed 80 percent of dealers expect bureau regulations will be implemented in the near future, further impacting their businesses. What’s even more telling, the survey also indicated that less than half of dealers have plans in place to meet these new regulations, which might replace dealer participation with mark-up thresholds or a flat-fee model. Dealers also told eLEND Solutions that they are ready to deliver a sales and financing process that begins online. The vast majority of respondents — 95 percent — agree that the industry should strive to create one, easy streamlined buying experience by starting both the sales and financing process online. In fact, eight in 10 dealers agree that a connected online and in-store experience will help sell more vehicles faster and lead to greater customer satisfaction. And nearly 70 percent of dealerships say this is a goal for their store. — Eighty percent of dealers think it’s highly (35 percent) or somewhat (45 percent) likely that CFPB regulations will be implemented; yet nearly 60 percent don’t have a plan in place to meet these regulations. — Thirty-four percent think the impact of CFPB regulations will be positive, while another 31 percent think impact will be minor or none at all. — A full one-third of dealers say they are reluctant to put F&I online because traditional dealership processes insist financing be arranged exclusively in store. The survey was conducted online among U.S. dealerships in March and April. 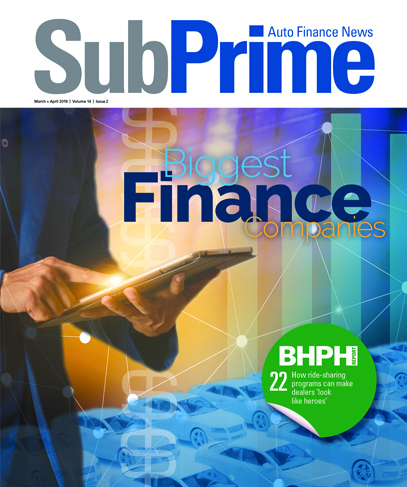 “Establishing a connected buying experience that starts sales and finance together online is an approach that helps dealers modify current negotiation/finance purchase contract processes that are likely to be required as a result of the probable CFPB changes to dealer participation policies,” eLEND Solutions said. In a previous eLEND Solutions survey, 80 percent of dealers said that their sales and finance process averaged two hours or more and 40 percent reported that theirs lasted three hours or more. Meanwhile a whopping 82 percent of dealers say the ideal end-to-end process should take two hours or less. Yet, according to a recent Autotrader survey, buyer satisfaction starts to decline after 90 minutes at the dealership. The same study showed that 66 percent of consumers would be much more likely to buy from a dealership that offers their preferred experience.